These edgeless microfiber towels can tackle any car cleaning task. Additionally, these microfiber cleaning towels feature a medium weight and medium pile. The ultrasonic cut ZeroEdge microfiber detailing towels are soft to the touch, and will not scratch. These auto detailing microfiber towels work equally well on interior, exterior, wheels, trim, and paint. 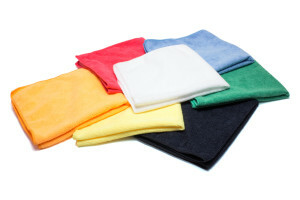 We also carry 75/25 microfiber towels in a similar edgeless microfiber cloth style.